Qassem Suleimani has long been a key player in Iran’s foreign policy. Now he’s stepping into the limelight. Iran has an interesting and often contradictory military history, which often seems to swing between two extremes. On the one hand, Iranian armies have often fallen apart quite unexpectedly despite having an overwhelming advantage over their enemies, such as during Alexander of Macedon’s conquest of the Persian Empire and the Arab conquest. Yet on the other hand, Iran is also the home of military geniuses such as Cyrus the Great and Nader Shah. In the modern era, despite having one of the most capable militaries in the Middle East, no one Iranian military figure has stood out until recently. Recently, a lot of attention has been drawn to the enormous role played by Iran’s General Qassem Suleimani in advancing Iranian interests during the upheavals of the Middle East of the past few years. 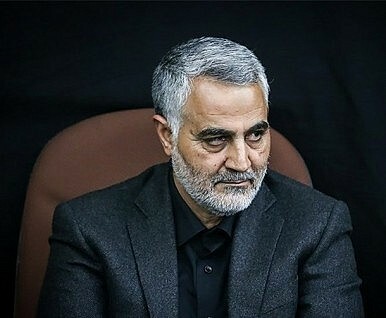 Suleimani has been the leader of Iran’s elite Quds Force since 1997, the branch of Iran’s Revolutionary Guard responsible for special missions outside of Iran. He is reported to have once told United States General David Petraeus in 2008 that “you should know that I, Qasem Soleimani, control the policy for Iran with respect to Iraq, Lebanon, Gaza and Afghanistan.” Although the Quds Force has a shady reputation due to its involvement with terrorism, under the leadership of General Suleimani, it has also been very effective in helping fight the Islamic State (IS) and other Sunni forces seeking to overthrow the Syrian and Iraqi governments. Iran is believed to have gained more influence over Syria and Iraq during the current crisis because the violence in those countries has forced them to turn more closely to Iran. The Quds Force has been especially useful in training ground forces to be effective fighters. Although the Quds Force and General Suleimani usually keep a low profile, this is starting to change. It is now starting to emerge that General Suleimani is a very talented leader and strategist, and that the Iranian government wants to highlight this so as to publicly demonstrate the role it has played in fighting IS. It is now believed that the Quds Force played an important role in keeping Baghdad from falling to IS forces earlier this year. Even more interestingly, it has now emerged that the Quds Force has been helping non-Shia forces as well, such as the Kurdish Peshmerga of Iraqi Kurdistan. A recent flurry of images shows General Suleimani posing with Peshmerga fighters accompanied by claims that the Quds Force prevented the Iraqi Kurdish capital of Erbil from falling to IS. All this points to Iran using a mixture of propaganda and actual military help to enhance its influence in the Middle East as well as achieve its strategic goals of defeating radical Sunni forces. It helps that the Quds Force is prepared to go to the front line and personally fight. This helps it direct operations on the ground as well as making them seem brave. It remains to be seen to what extent citizens of other countries will feel grateful to Iran for its help in the future. It would also be interesting to see if General Suleimani translates his newfound fame, with more attention being heaped upon him than any other individual military figure in Iran, into a political career. Given his interest in Iranian strategy, this may not be so far-fetched. Foreign Minister Javad Zarif and Major Gen. Qassem Soleimani have little in common -- except their popularity in Iran.